I’m starting to think that if you add an ‘i’ to the front of your product name, you’ll be on a guaranteed winner. 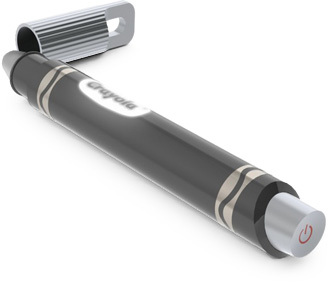 Introducing Crayola’s iMarker. Recognising that like many things, colouring-in was going digital, Crayola teamed up with Griffin Technology to create the ColorStudio HD for iPad which includes the Crayola iMarker stylus. 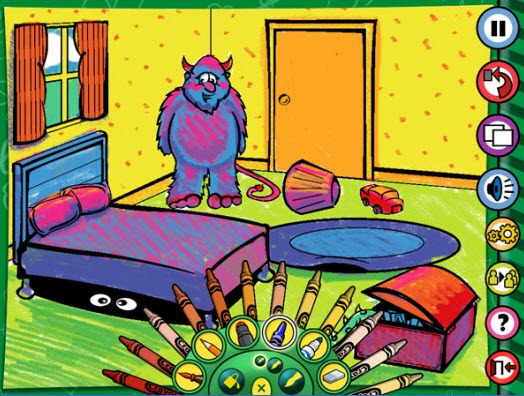 The app includes fifty interactive colouring pages in various themes to keep kids busy and importantly, the pages can only be coloured in using the iMarker – accidental finger swipes will no longer ruin a masterpiece in the making! The stylus acts as a marker, crayon, pencil or a paintbrush and as you would expect there are dozens of colours to choose from. It certainly ups the ante on colouring apps, of which there are quite a few. I like the fact that it encourages children to exercise those fine motor skills early – holding a pen (or a stylus) can be tricky for preschoolers but no doubt they will be more than willing to practice on your iPad. Although not available yet, the ColorStudio HD with the Crayola iMarker is expected to retail for approximately US$30. Check out our previous posts on apps for the iPad here.